Repairing and replacing your heating system is not a simple, one-size-fits-all solution. The heating system in your home can be one of a number of different types ranging from blowing heated air through ducts and vents to piping hot water throughout the house and dispersing heat through radiators and vents. 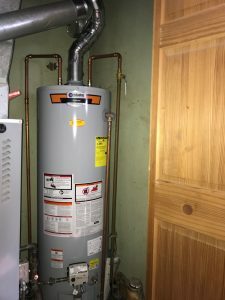 Whatever type of heating system you have in your home, it’s important to know the different types of heaters (furnaces) and which will work best for you. 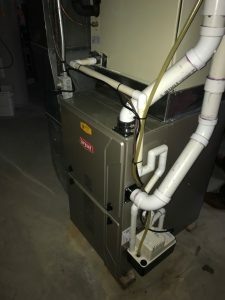 In addition, we've also added a new section on our site to help you troubleshoot problems with your furnace or help you tell if you might be having problems. Visit our Furnace Repair Learning Center. 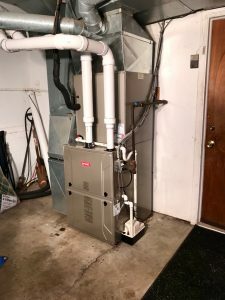 While you may have a different system, most furnace repairs and replacement calls we get pertain to a forced air system which is by far the most common type of home heating and cooling system. 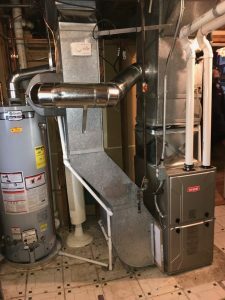 With this setup, the air is heated by your furnace and distributed throughout your home through ductwork and then into rooms by registers and blowers and can be fueled by natural gas, propane, oil, or electricity. Radiant heating systems are often found in older homes and are a great furnace solution, though as they age, will require repair. This heating (furnace) system is known to produce the most natural and comfortable heat in a home. The heat can come in a number of different forms including a pot-belly stove and in-floor hot water tubing. 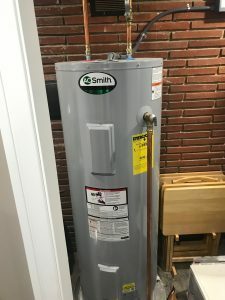 A radiant heating system heats your home through “radiation” or the direct transfer of heat from a hot surface to a cold one and are heated using a boiler (more on home boilers). A major disadvantage to these systems is that you cannot use the same ductwork and it requires an additional cooling system. It’s also more expensive to install in an established home rather than in a new construction product. This heating (furnace) system is similar to the radiant heating system in that it uses a boiler to heat a room by a combination of radiation and convection. The hot water heated by the boiler is piped into “fin-tube” baseboard units that are mounted along walls. The fins help with efficiency by increasing the surface area of heat dissipation. Air comes into the bottom of the baseboard and is heated which pulls the air up and out of the top of the unit and into the room. These furnace systems are ideal for people looking for a quiet, energy efficient system that also gives you superior temperature control for individual rooms. Climate-Tech Heating and Cooling are your local experts. If you ever have a problem heating your home or office in Ypsilanti, Ann Arbor, and other communities in Washtenaw County and western Wayne County, call us to make sure your problem is solved quickly and affordably.